Stand out and be seen 24-7 with a set of Blue Flare Longboard LED wheels. Four ultra-bright LEDs illuminate each wheel bringing your skateboard to life day or night. Our Flare Longboard LED Wheels offer the brightest LEDs in the industry and have the capacity to glow for a staggering 100,000 hours. Batteries... NOT! Our LED wheels self power off the spinning motion of the wheel therefore no batteries are ever required. 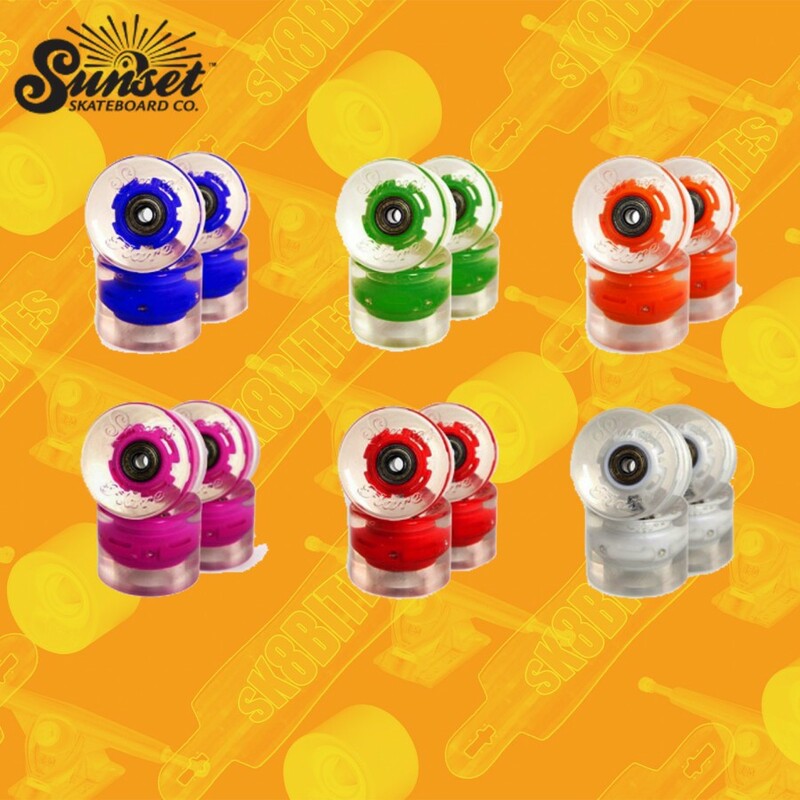 Each Sunset Flare wheel is cast in high quality clear 78a Poly-Eurathane for that super smooth longboard ride you crave. Each wheel is embossed with our original Sunset Flare logo.